Half sleeve tshirt for small kids above 1 to 4 year. Special t-shirts for little one and kids also. 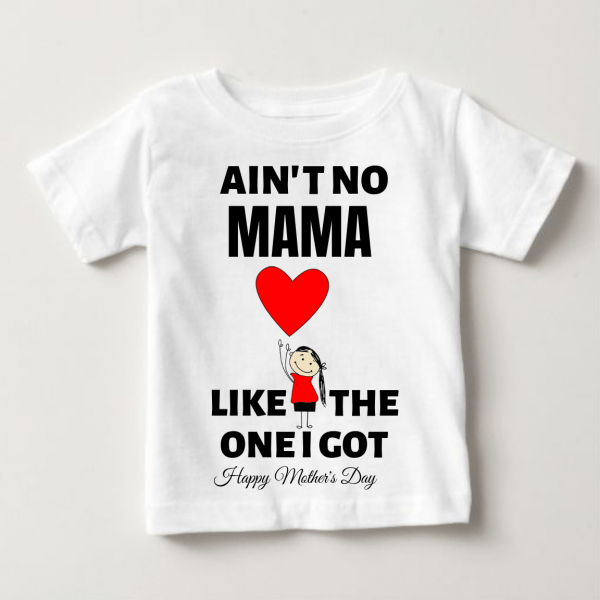 “Ain’t mama like the one i got ” Text print on t-shirt. White color half sleeve customizable tshirt.